The idea for Rachel came to me several years ago while I was still working on Strangers in Paradise. I told all my friends I was thinking about this “dead girl” story. They suggested therapy. I wrote this book instead. 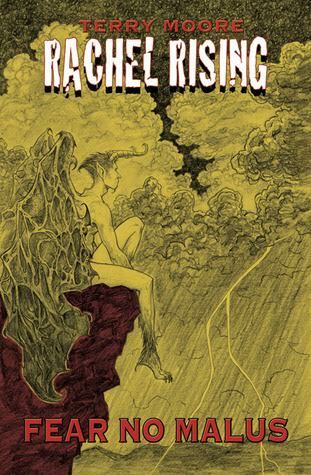 Continuing from my review of “Rachel Rising – The Shadow of Death” volume one of the forth-going comic book series, the storyline left us with questions of Jet’s death, the mysterious girl Zoe whom causes violent havoc wherever she goes, and this so-called witch – a tall blonde who seems to have a hand in the uprising death-toll in the town of Manson. Rachel quickly realizes after they two womyn pass each other that she’s referring to death itself. Rachel looks up toward the snow falling from the sky. Moving forward through a brief synopsis of comic books seven to twelve, mysteries of the characters that readers are dying to know about are revealed. Why Zoe seems to be possessed by the witch, Lilith; Johnny and Jet’s fate after the car accident; and if an outsider—in this case, a police officer named Detective Corpell—unravels the pieces of the nightmare the town of Manson will suffer greatly. In my previous review, I inquire about some predictions that may arise in the upcoming volumes. I commend Moore for deceiving his readers with allusions he made his readers believe when it came to Zoe and the “witch’s” possession of her. Although Lilith is not one to easily-like once she reveals her plans to Rachel, is also one of the most complex characters I’ve ever done research on. I’m using parenthesis around “character” because now a new factor to the story has been released: the fate of Manson. Lilith, describes the town in which she inhabited almost five generations ago and now is seeking revenge on those whom tried to burn her. From a historical context, The Zohar is the foundational work within Jewish mystical thought literature known as the Kabbalah. The group of books provide commentary to the mystical aspects of the Torah and scriptural interpretations as well. Lilith is one of the characters spoken throughout the text. According the books, she was the original first wife of Adam, but has been used to create multiverses and Samael’s (or Satan’s) counterpart. To avoid controversy, this is as far as this discussion will go. 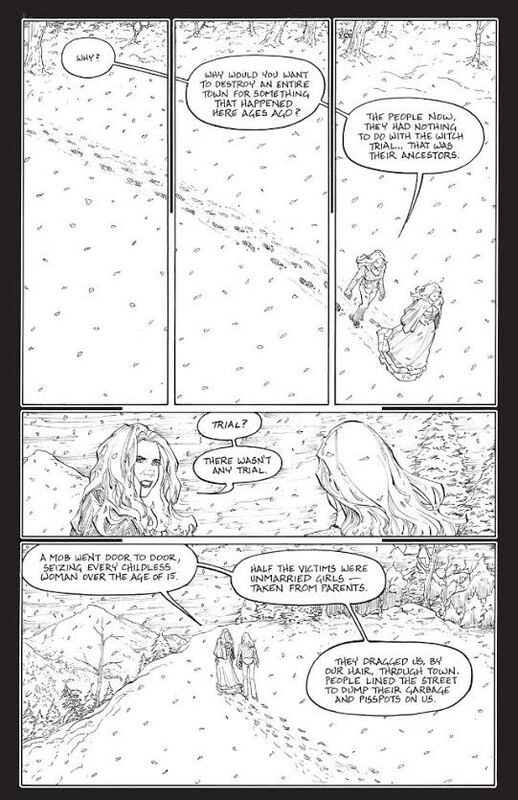 Furthermore in issues nine and eleven, Lilith speaks with the demonic figure Malus and Rachel and informs that she is “the first woman” and the discussion of being used as an avatar. Moore creates vast layers upon layers when it comes to the meaning of creation and who controls the universe and those captured within it. Usually as I read series and write about them, I hold off on reading the next book. 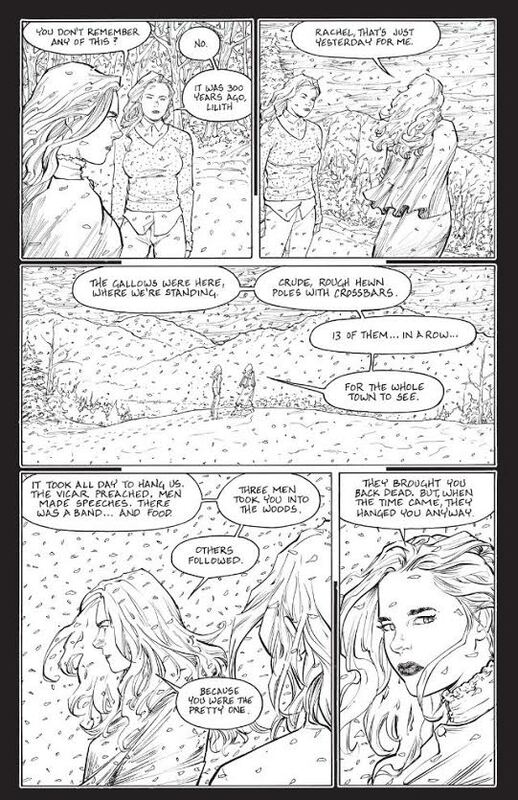 Rachel Rising is not an easy series to leave on the table. For these reviews, I only want to discuss with you the premise of whichever book it is before moving forward and accidentally “spoiling” or not giving a biased review. 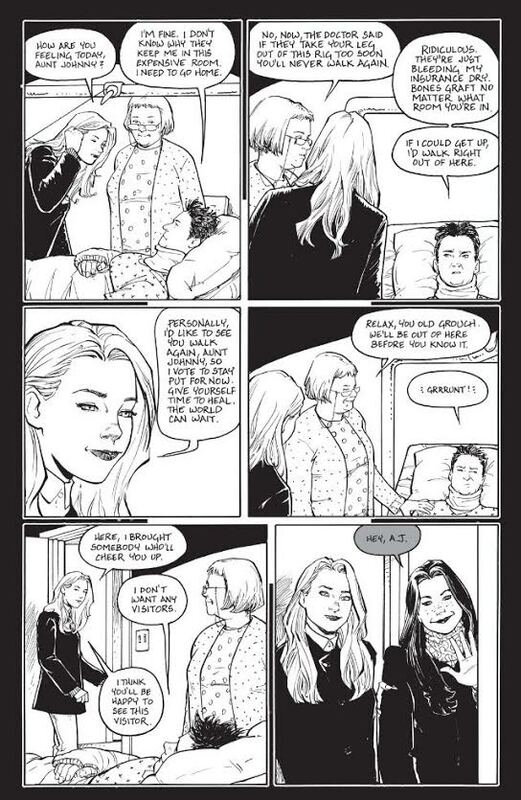 Terry Moore does not fail any readers who plan to follow his cult-series of Rachel Rising, the horror story that has a mind of its own. He uses historical references and challenges those who wish to dive further into his books. To purchase this comic book, follow this link.